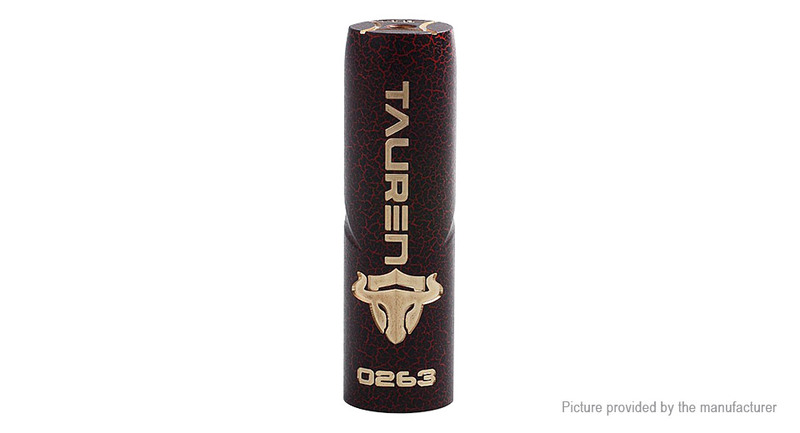 The authentic THC Tauren Mech Mod from ThunderHead Creations is the first mechanical mod with innovative Ball style connected button, which allows the mod to be fired immediately without any delay. With a built-in battery tube, it can be powered by single 21700, 20700, and 18650 battery (not included). The precision machined body and unique luxury painting make THC Tauren Mech Mod more attractive. The top is not overhang with 24mm atomizers.